Friday, November 9: Co-Host Iyanla Vanzant weighs in on the latest hot headlines in “The First 15" and uses her no-nonsense approach to help audience members "fix" their lives! Syndies largely ran in place in the week ended Oct. 21, in the lull before the start of the November sweep on Oct. 25. Only one talk show was up for the week, CBS Television Distribution's Dr. Phil, which improved 4% for the week and year to a 2.9 live plus same day household rating. Dr. Phil and NBCUniversal's Steve Wilkos were the only two talk shows to be up compared to last year, with Wilkos adding 8% for the year to a 1.3, although the show fell 7% compared to the prior week. As for the rest of the talkers, Disney-ABC's Live! with Kelly and Michael held steady at a 2.6 in second place and equaled last year's performance at this time when Regis Philbin was headed into his last month on the show. Warner Bros.' Ellen, which has had the show's strongest start in its ten-year history, dipped 8% to a 2.2, tying Sony's Dr. Oz, which also fell back 8%. NBCU's Maury dropped 5% to a 2.1 in households, although it led among women 18-49 at a 1.4. CTD's Rachael Ray and The Doctors, and NBCU's Jerry Springer all held firm at a 1.4. 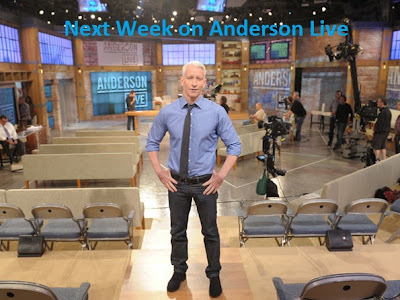 Warner Bros.' Anderson Live!, which will end its run after this season, was flat at a 1.1. Debmar-Mercury's Wendy Williams weakened 9% to a 1.0, while the syndicator's Jeremy Kyle remained flat at a 0.5. Note: For those interested; in the same week last year, 'Anderson' had a 1.4 HH rating. It will become increasingly difficult for Anderson to book good, grade A co-hosts for the remainder of his season. No one really wants to be on a show that has low viewership and will not be renewed. Meghan McCain is the only one worth watching this week. It will be interesting to hear her post analysis of the election. 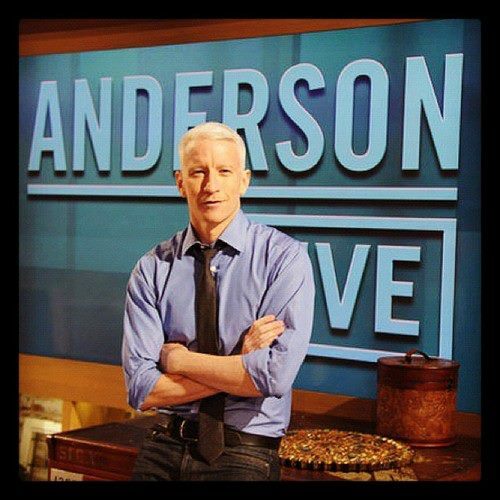 @anonymous 8:20pm I agree that Anderson is going to have a harder time booking decent guests for the show now that its been canceled. Who wants to go on a low rated show that's being canceled? It will be interesting to see what kind of guests they'll be able to book in the future. Wednesday's show looks absolutely awful. What a waste of airtime. I like Deborah Norville and may watch a little of it to see her. The rest of the show that day I simply don't care about. I am looking forward to seeing Kyle Richards as his co-hot tomorrow. I think she'll make a good co-host. I like her she's bubbly and likes to have a good time.